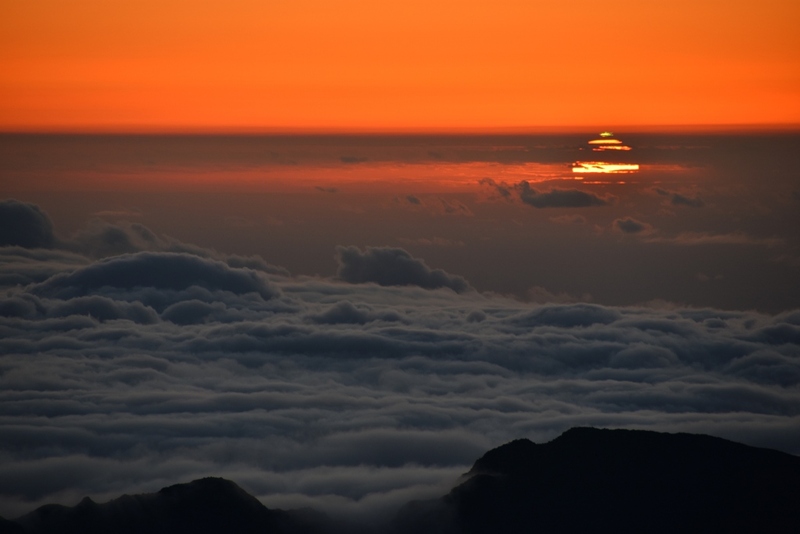 Explanation: Taken on March 20 from the top of Haleakala on the isle of Maui, planet Earth, the first sunrise of northern spring is pictured in this vacation snapshot. The telephoto view from the volcanic caldera above a sea of clouds also captures an elusive green flash near the Sun's upper limb. Atmospheric layers with sharp temperature changes cause the colourful flash as the Sun rises behind a distant cloud bank. Refraction along sight lines through the layers creates multiple distorted images of the Sun, and for a moment, can visibly deflect shorter wavelength green light.